When I first began considering publishing a book, I did not anticipate the work I would put into the post-publication side of things. If I'd read much about independent publishing, I'd have known, but it wouldn't have stopped me. I was sort of in a blind rush to just do it, get it out there, and would later wake up and proclaim, "Holy pasta, what have I done?! What do you mean I now have to sell myself like a painted tart?" 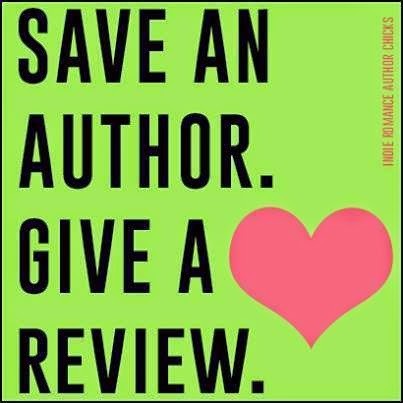 I have since learned that reviews are the key. 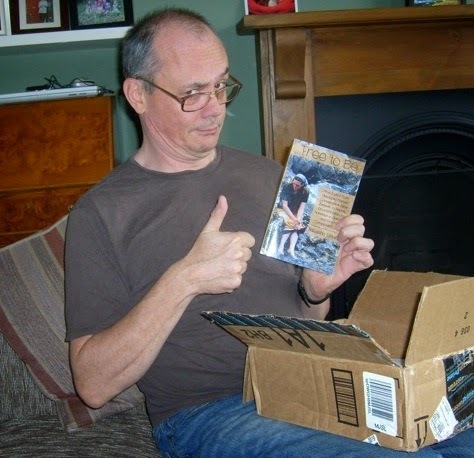 Reviews are the lifeblood for an indie-published book. Reviews are what we are after, the fuel that keeps our fires going. For those of us going the Amazon route, we check our reports daily: how many sales, borrows and reviews have I received since I checked 23 minutes ago? Reviews are quite humbling, good or bad. I deeply appreciate the fact that anyone takes the time to read my book to begin with, and but it's even more significant when they go the next step and tell the world what they thought of it. This is what your review does, you see. It tells the world whether or not it's worth their time. It's the whole word-of-mouth thing, internet style. Grass-roots. A variety of reviews offer an overview of what folks can expect when they pick it up. The more reviews, the more variety, the better. (Even the bad ones!) You know this, right? You've learned to read and weigh reviews when shopping for a new product. Well, what a privilege to be able to add your voice! Now that I know the significance, I leave reviews for just about everything I read. Well, if it has a over 200 reviews I don't always bother, unless I have something very particular to say about it. In my free time I go back and review books I've read in the past. It can be quite fun, actually. The more I write, the more I appreciate the things I read and the more detailed reviews I'm able to write. Not surprisingly, some of the most rewarding feedback has been from other authors. Unexpectedly, I've connected with a lot of amazing people, even becoming good friends with some of them (and better friends with others--note the adorable goofball above). I must say, that's been the best part of the whole thing. So... Have you read Free to Be? Would you consider taking a moment to write a review and rate it? You may do so here at Amazon. For those of you on Goodreads, you can also leave a review here. I'm going to throw in a little something to sweeten the deal. 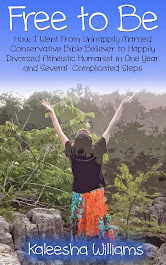 Many readers have expressed a desire for more from me; more writing in general and more about what my life was like as a christian and how I got out. I'm currently working on an autobiographical fiction with just such details. If you leave me a review on Amazon, pop back here and let me know in the comments or email me, message me on Facebook, Twitter, or Goodreads, or send a signing telegram or pigeon. Then, if you would like, I'll email you a PDF of the first draft of the first chapter of my next book. If you have already left a review and would like the PDF, just let me know and I'll get it right to you.